Explore the worlds of stop-motion and hand-drawn animation in Columbia College Chicago’s Traditional Animation program. Learn technical and storytelling skills from a faculty of professional animators with tons of industry experience. The best artists constantly create. 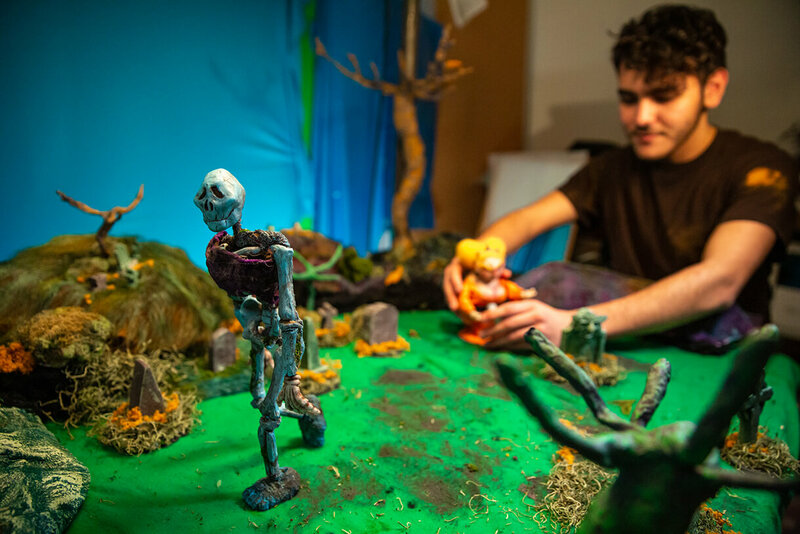 At Columbia, you’ll start animating in your first year and choose a concentration in either hand-drawn or stop-motion animation. As a senior, you’ll collaborate with peers to create a six-minute animated film. There’s a reason we’re consistently ranked among the top animation schools in the Midwest and beyond. Columbia animation students bring a unique voice and aesthetic to their work, and best of all, employers want our grads. You’ll find Columbia alums around the world working in major animation studios and showing films. We offer a Bachelor of Arts (BA) and a Bachelor of Fine Arts (BFA) in Traditional Animation to fit your career goals and personal interests. Columbia College Chicago offers two degrees in traditional animation. No matter which degree you choose, you’ll have many opportunities to tell your stories and create your films. If you pursue the BFA, you may apply after three semesters or after accumulating 45 credits. The Bachelor of Arts (BA) program in Animation is designed for students who want to major in animation while exploring other interests and prepares them for graduate study in animation. Within the BA, you’ll choose a concentration in either computer or traditional animation. Both concentrations focus on animation techniques and foundational topics. The bachelor’s degree in animation requires 45 credits within the department, which means you’ll be able to pursue a minor or a second major in another subject. View BA courses and requirements. The Bachelor of Fine Arts (BFA) program prepares students for professional animation careers. The program requires 72 credits within the department, which means you’ll commit yourself to the study and practice of animation without much time for a minor in another subject. BFA students are required to complete two animated films, one as part of a team (Animation Production Studio) and the other as a thesis film solo project. View BFA courses and requirements. You’ll take courses like History of Animation, a lecture-based theory class that provides historical context for your work. You’ll also learn by creating. In Animation, you’ll animate hand-drawn images and move cutouts on a camera stand. In Drawing for Animation 1, you’ll learn the foundations of digital hand-drawn animation using a Cintiq monitor. In Stop-Motion Animation, you’ll create and animate puppets. In Alternative Strategies for Animation, you’ll paint on glass and animate charcoal drawings. No matter which entry-level courses you take, the final product is a body of artwork to add to your portfolio. As a senior, you’ll have a few options depending on your degree program and personal choice. BA students have the option of working with a team their senior year to create an animated film in Animation Production Studio. They can also work on their own solo film or take electives that will help them polish their demo reels and gain professional-level competency in the areas of their choosing. BFA students are required to take Animation Production Studio and produce their own animated thesis film as a solo project. This is similar in scope to the team project except you’ll have three full semesters to complete it. You’ll work as the producer, director, editor, and every other role in between. This two-semester capstone course is an intensive introduction to the animated film process. You’ll supervise and be supervised in roles ranging from director to editor. In the first semester you’ll pitch ideas to your team and choose a story together. You’ll create preproduction concept art and storyboards, and move on to hand-draw or build stop-motion assets. In the second semester, you'll continue to build and refine the film, presenting it in May at Manifest, Columbia’s annual urban arts festival that celebrates the amazing work of our graduating students. Want a glimpse of industry life? Animation Studios in LA is a one-credit, single week January-session course for selected senior Animation students. You’ll spend the mornings learning professional standards and industry preparation and the afternoons touring local animation studios such as Nickelodeon, Warner Bros., DreamWorks, Cartoon Network, or Disney. Student Work: Animation from Columbia College Chicago on Vimeo. Animation alumni hold jobs in Hollywood, Silicon Valley, and production studios around the world. They win Oscars and Emmys and work at companies like Disney, Pixar, Cartoon Network, Nickelodeon, Warner Bros. Animation, DreamWorks, Weta Digital, and more. Curt Chiarelli ’89 worked as a sculptor on the Emmy Award-winning TV show Robot Chicken on Cartoon Network and has done freelance work for Disney, Universal Studios, Lucasfilm, MTV, and Microsoft. Andrew Huebner ’98 is vice president of animation production at Nickelodeon. Huebner is a Daytime Emmy Award-winning producer and production manager on animated TV shows such as Kung Fu Panda: Legends of Awesomeness, Penguins of Madagascar, and Avatar: The Last Airbender. Aaron Legg ’17 created the animated short The Amazing Neckbeard, which was featured in Chicago’s 2018 Millennium Park Summer Film Series as part of the ChicagoMade Shorts Series. After its October 2017 release, the short received official selections from the Animation Studio Festival, the Wildwood Film Festival, the Motion for Pictures Screening series, and several other festivals and outlets. Allison Morse ’15 is a design coordinator at ShadowMachine, an award-winning animation hub that is home to shows like BoJack Horseman and Robot Chicken. Daniel López Muñoz ’96 served as the art director for Pixar’s Up and has character artist credits on major films like Coco, Finding Dory, and Brave. Mike Owens is the cocreator and executive producer of Amazon’s animated series Danger and Eggs. 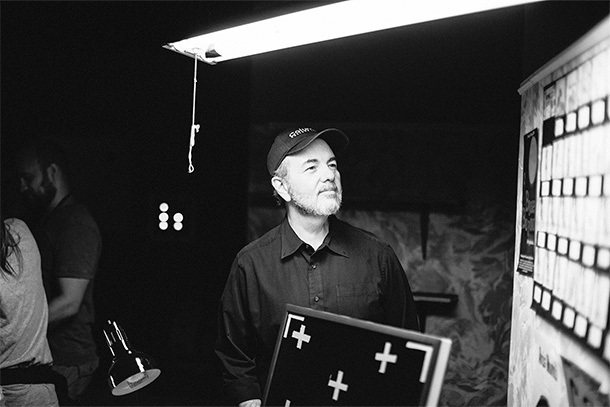 He received a 2018 Daytime Emmy Award for Direction. Rachael Russakoff ’12 is an animatic editor for Nickelodeon Animation Studio. Marlon West ’85 is an effects supervisor and animator at Walt Disney Animation Studios, where he has worked on films such as The Lion King, Pocahontas, and Frozen. Our faculty members are award-winning working professionals, who bring their in-depth knowledge of animation, game art, cinema, television, graphic novels, and illustration to the classroom. Jim Rohn combines his comic book chops and video game history in the animation classroom.